While pouring over the menu we nibbled on some guacamole, enjoying the soft, sweet ripeness of the avocado in this classic Mexican dip. It was really lovely and well judged for acidity although a touch more seasoning was needed. The accompanying tortilla chips were also excellent and super crunchy. 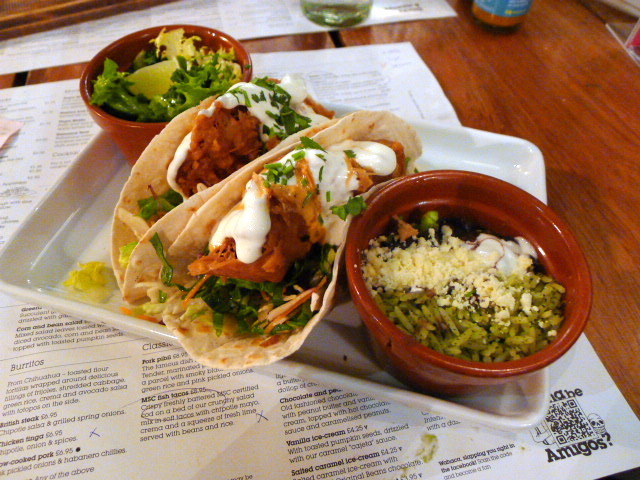 We rather enjoyed the battered MSC certified cod tacos (£8.95). The fish was wonderfully moist and juicy and the batter was crispy and really well done. The sides of rice and beans were also decent. The crispy fried chunks of sweet potato chips (£3.20) were good as they were soft and sweet, with the smoky caramelised mojo de ajo working really well with the chips. Also tasty was the pork in the pork pibil tacos (£4.10). It was was tender as one would expect from 12 hours of slow cooking. The Yucatecan marinade was thick and rich, giving the dish an almost BBQ like quality. The soft tacos were thin and nicely done. 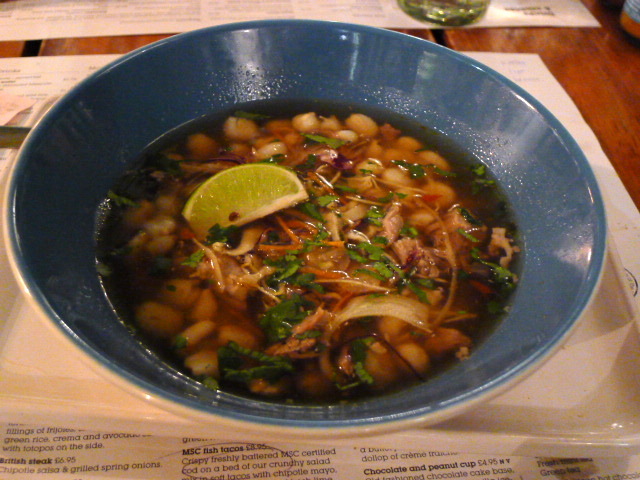 Another interesting dish was the Pozole (£5.25), a pork and chicken broth special of the day with pozole corn, shredded pork, and a touch of chilli. The soup was rich with flavour from the use of both chicken and pork in the broth and the chilli gave the soup a nice kick. Furthermore, a topping of crispy finely shredded slaw gave it an lovely tang. 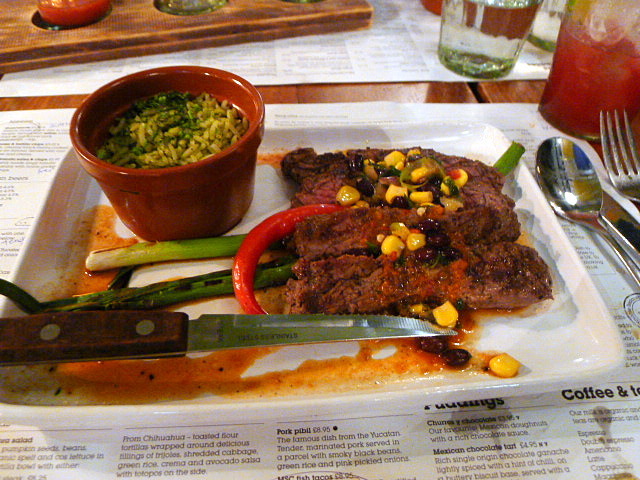 However less successful was the British steak cooked ‘the Mexican way’ (£9.95). We also found the meat to be a little bland and surprising a little chewy for what was a cut of sirloin. To desserts, and these were be solid and steady but not as remarkable as the savoury courses. The churros (£3.95) were crunchy, but they were solid through its core and didn’t have the slightly soft centre that would have made these more delectable. 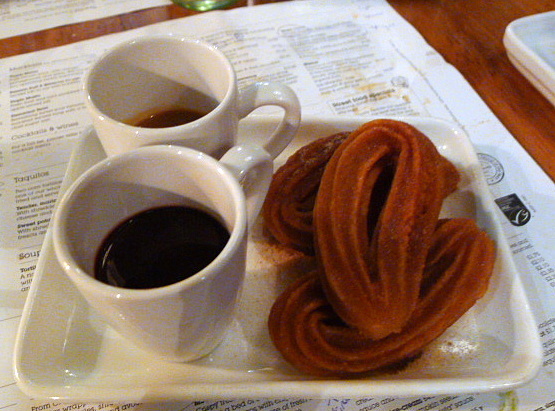 The churros came with a chocolate or a caramel sauce, and we elected to have both which we thoroughly enjoyed. 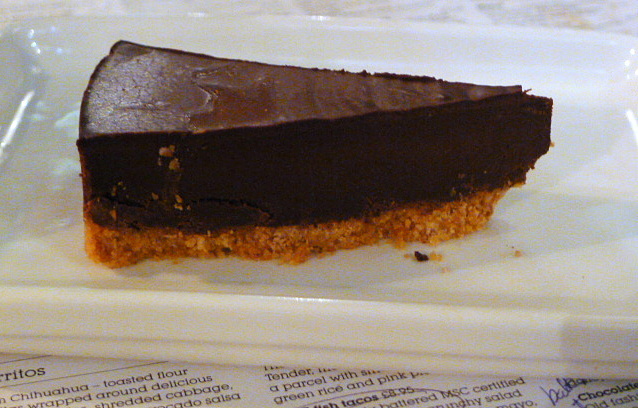 The Mexican chocolate tart (£4.95) with a chocolate ganache was rich with a beautifully creamy texture and the biscuit base was good, but the chocolate lacked a depth of flavour. Also a touch more chilli would have given the tart more kick. 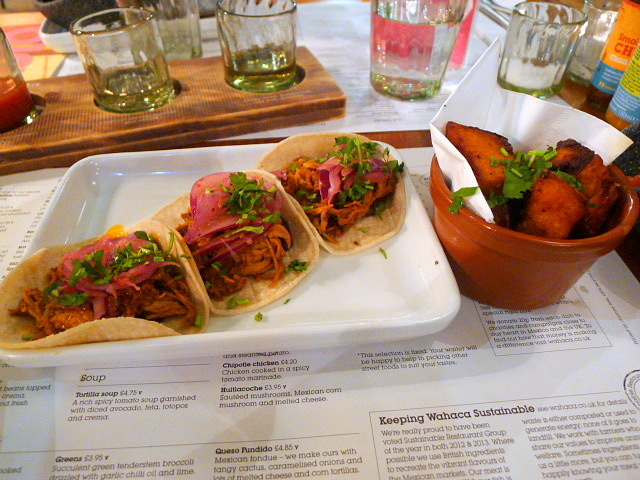 I do like a spot of Wahaca. It might be a high street chain, but it offers a refreshing take on Mexican food that’s accessible and affordable for all. The food is dependable and reasonably priced and the service is friendly and cheerful. 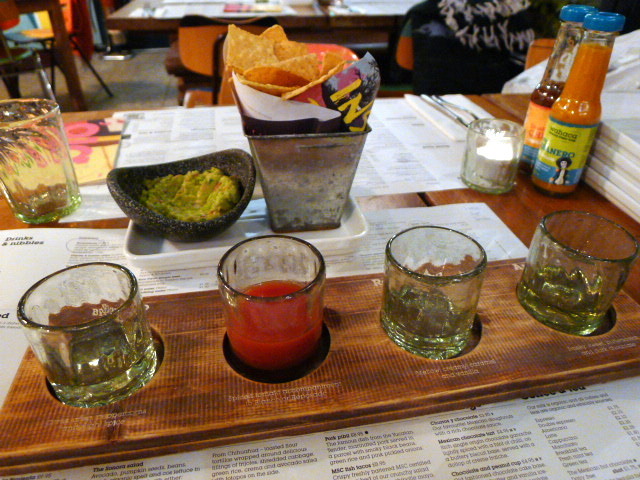 On a price to value ratio, Wahaca is a good deal. Prices: About £20 for three courses, excludes drinks and service.